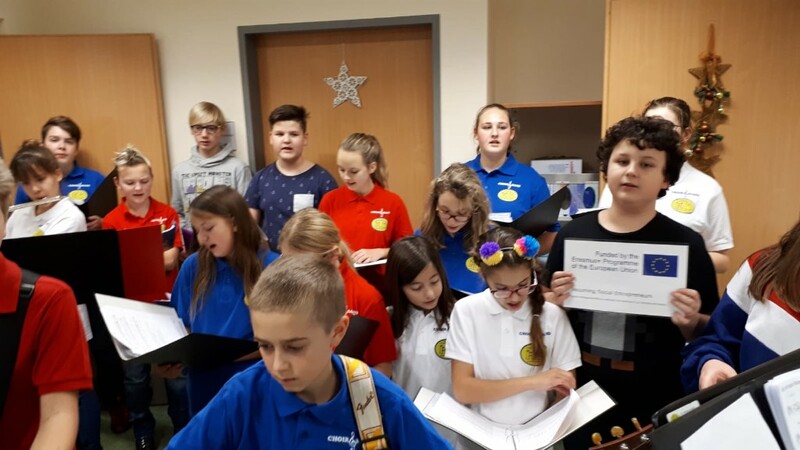 Choir and Band Christmas Concerts – Welcome to Bilingual Junior High School! 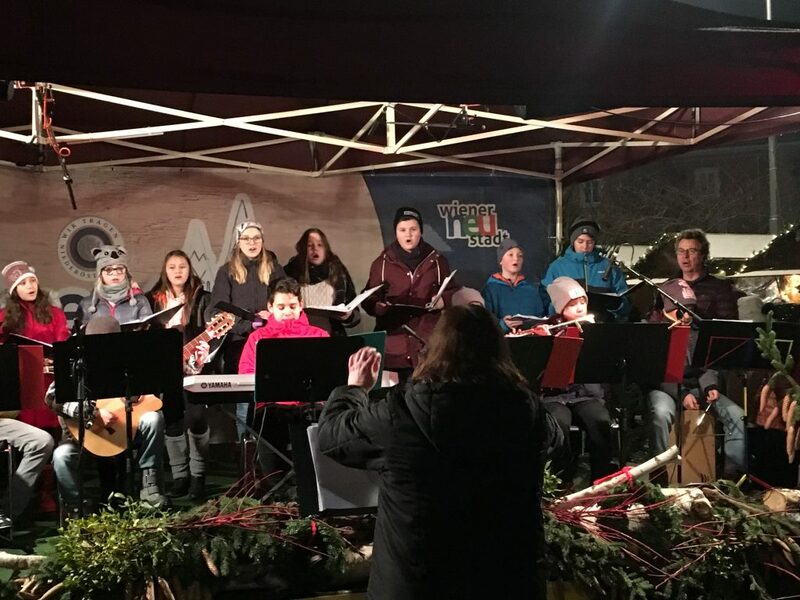 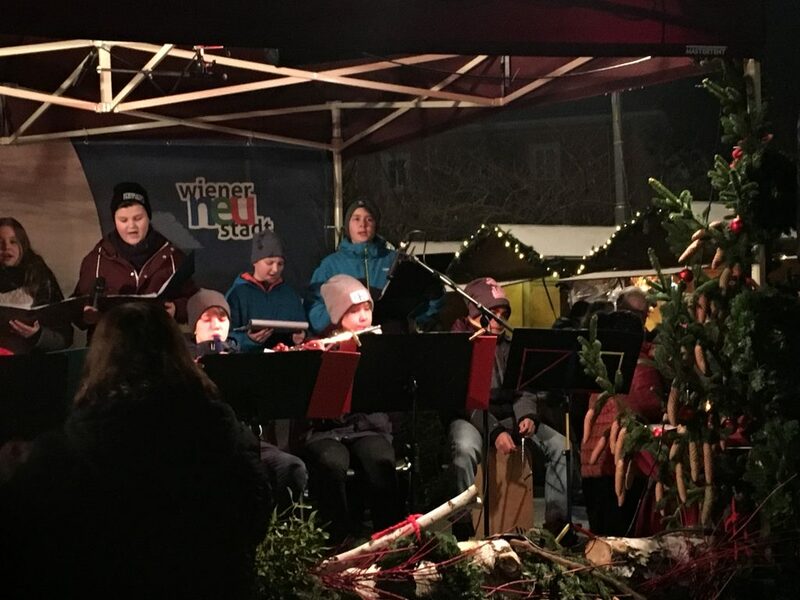 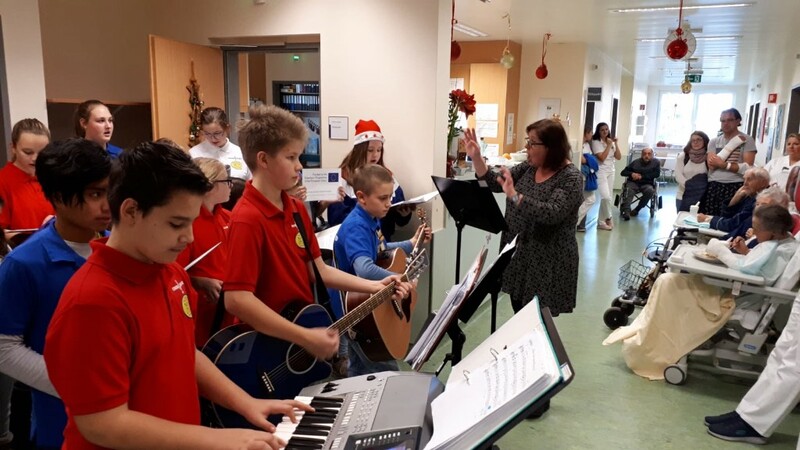 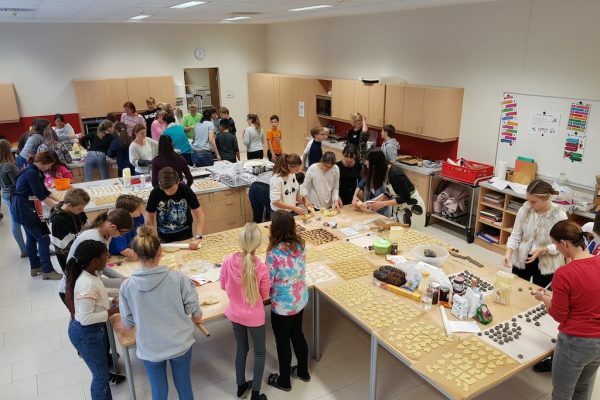 On Friday 14th and Saturday 15th December the school’s Choir & Band members were busy entertaining the people of Wiener Neustadt and the surrounding area. 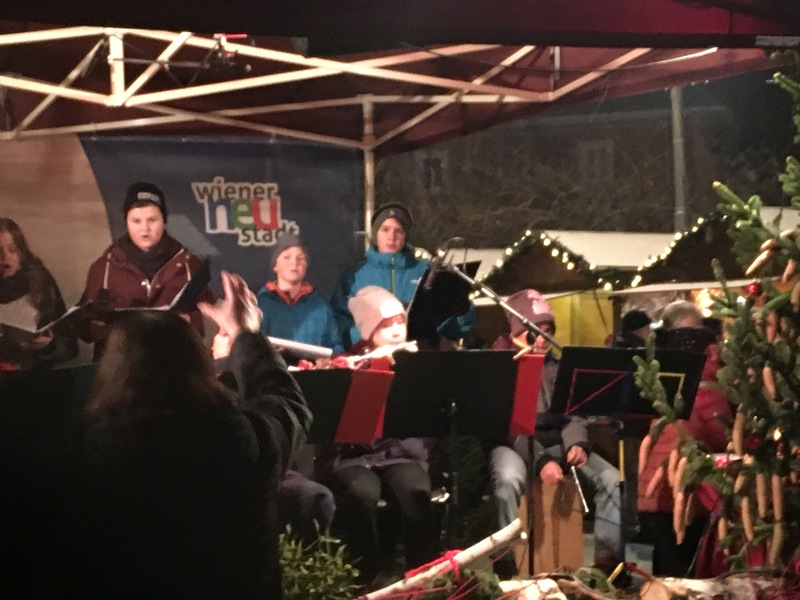 The Advent Market at the Domplatz in Neustadt was the venue for Friday’s performance and the pupils did a fine job, performing a large number of traditional and more contemporary Christmas carols and songs that were much appreciated by the audience. 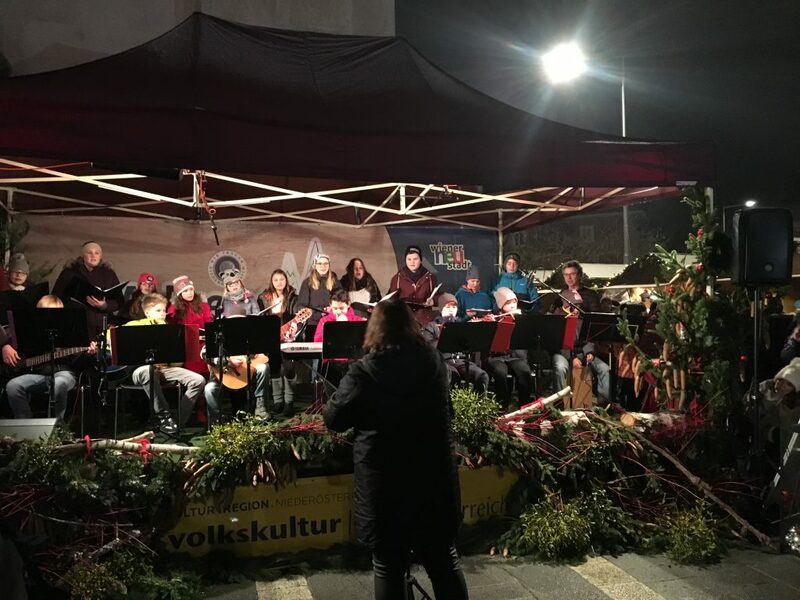 It was bitterly cold, which makes playing an instrument and singing that much harder – well done, everybody! 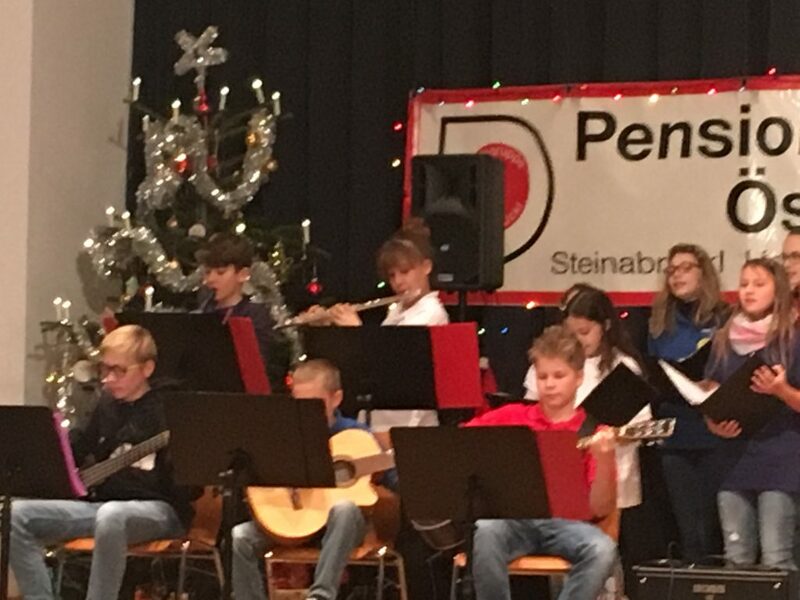 On Saturday afternoon the location was a good deal warmer – the Kulturheim in Steinabrückl. 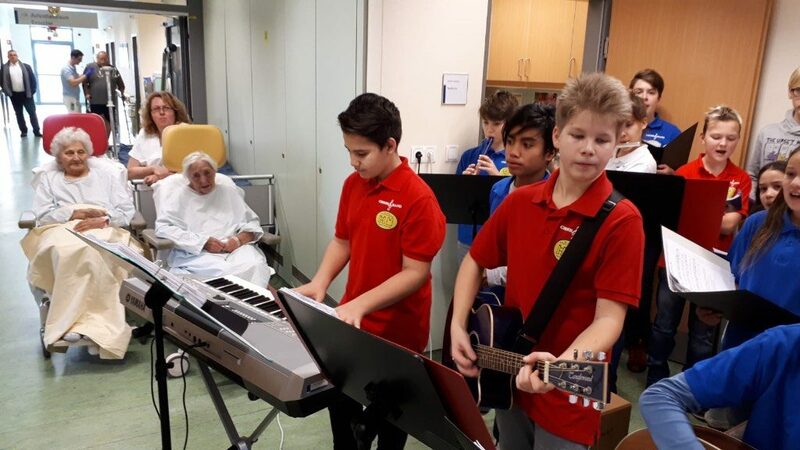 As in the last few years, the Choir & Band snag and played for the Pensioners Association’s Christmas celebration and received the usual warm welcome and excellent catering. 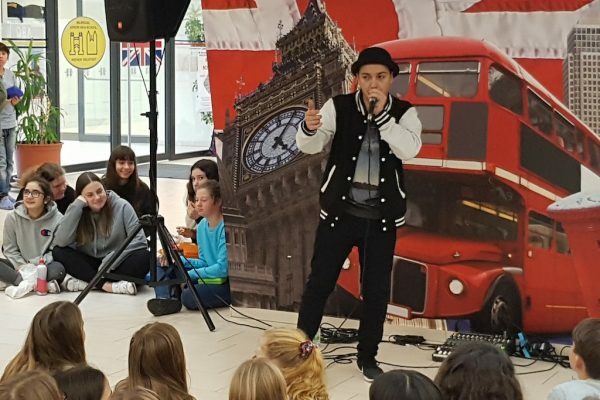 It was a pleasure to perform for everyone on the lovely stage once again. 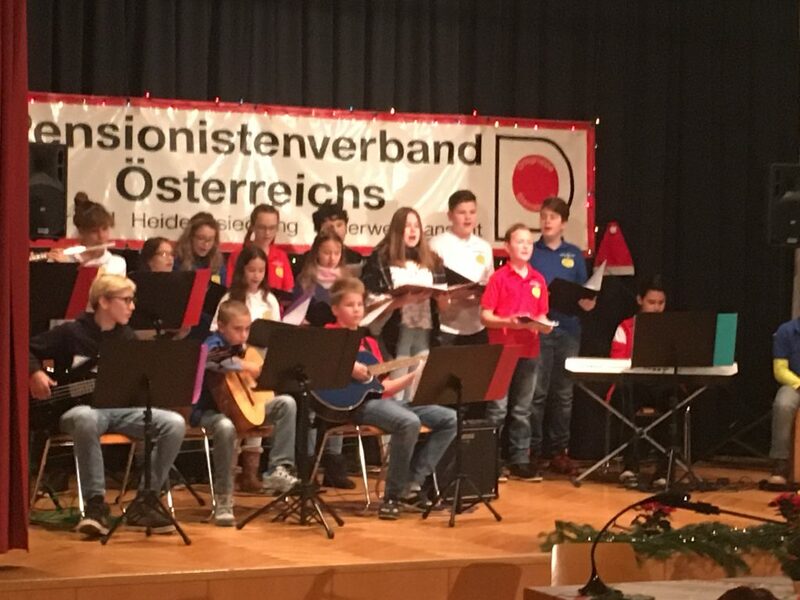 Many thanks to Mrs Vita for the invitation and organisation! 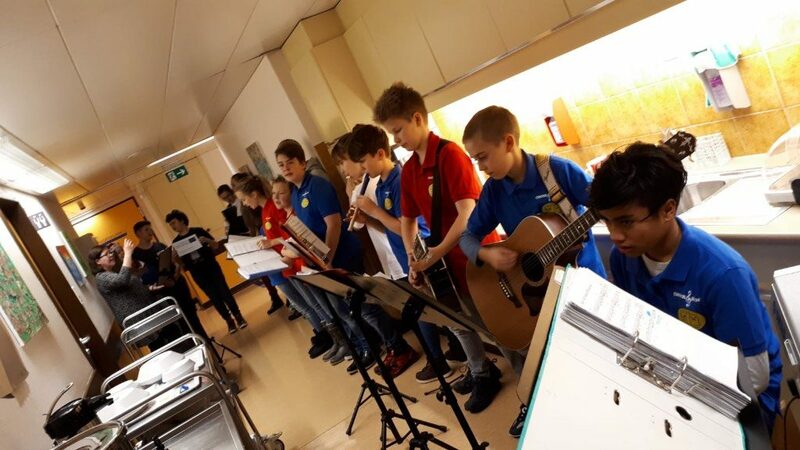 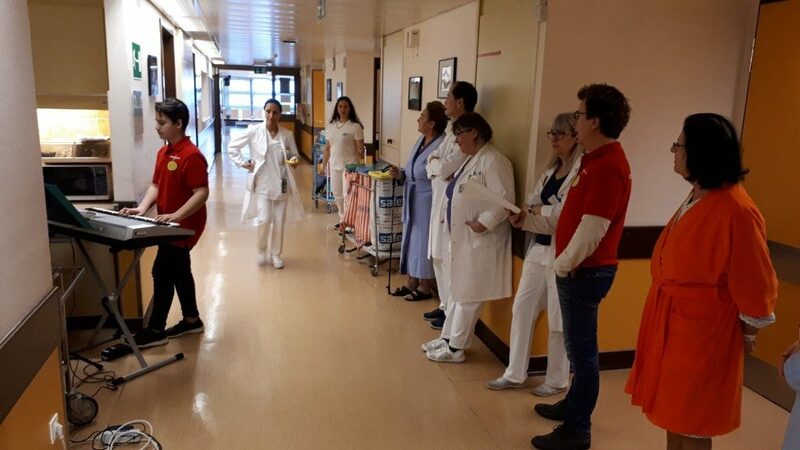 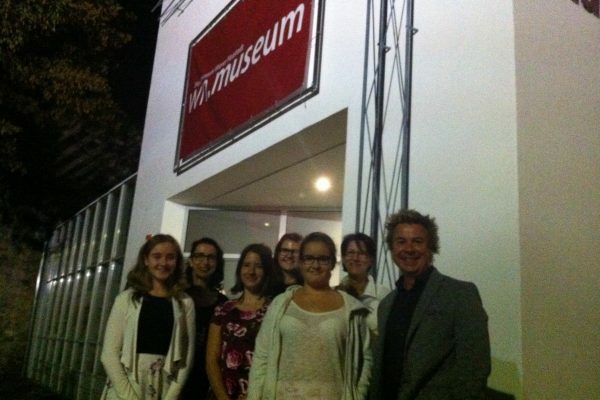 We also visited the General Hospital in Wiener Neustadt, where we sang and played at several departments.